Discussion in 'Projectors, Screens & Video Processors' started by Promoted Content Poster, Apr 12, 2019. How important would you say colours are to a film? It may surprise you to know, but colour is actually considered one of the most powerful visual tools at a filmmaker’s disposal. Colours aren’t just something visually appealing. 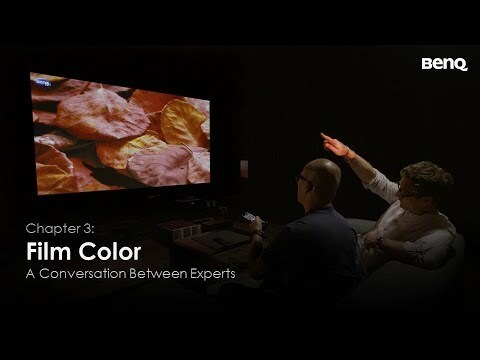 Colours are an important narrative tool and they are essential to creating dramatic impact, affecting how the audience will respond emotionally to the story, or how they relate to the film’s characters. Looking back into the history of film, colour has always been important. Even since the early 20th century when films were just “black and white”, filmmakers realised that different tones could help viewers follow stories that jumped between characters and locations. Filmmakers were so adamant to include colour in their work, they used to immerse film strips in dyes and chemicals, even laboriously hand painting some. Skip ahead to today’s film industry, and colour is no less important. Danielle Feinberg, director of photography at Pixar, goes as far to describes herself as “colour obsessed”. BenQ’s mission is for their Home Cinema projectors to convey the truest colours and impart the deepest feelings to the viewer. To achieve this, BenQ strives for complete colour accuracy to reproduce the film in the exact way the filmmaker intended. So What Does Colour Accuracy Really Mean? In its simplest of forms, colour accuracy is the ability to display the colours of visual media exactly the way the producer of that content intended and created. It is achieved through a standardised colour gamut. A colour gamut represents all the colours a projector (or any display) can reproduce. The horseshoe graph of colours above is the CIE 1931 colour chart showing all the colours that can be seen by the human eye. Unfortunately, digital display technology is not quite able to reproduce this whole spectrum just yet. That’s why we have various standards of colour gamuts. A colour gamut is an agreed standard which enables the content creator’s original intentions in terms of colour reproduction, and can only reach a certain amount of the CIE 1931 chart. In the above chart you can see the colour coverage of both DCI-P3 and Rec. 709. DCI-P3 is a specialised colour gamut developed for digital movie projection. BenQ’s latest projectors achieve reaching the film industry wide colour space DCI-P3, with BenQ striving to accurately recreate the true colours film creators intended. But How Does BenQ Actually Do It? Okay, so now we’re gonna get to the technical part. Unlike other projectors with biased colour temperature and oversaturated greens and reds, BenQ’s Enhanced Colour Mapping technology performs precision colour rendition to ultimately produce precise, lifelike colours when viewing DCI-P3 4K Blu-ray movies. To achieve this, they combine their innovative technology in light sourcing, lenses, colour wheels, tone mapping and colour calibration. Firstly, BenQ projectors utilize leading light source technology with a strict waveform analysis to ensure that the colour temperature of the projected light accurately reproduces the correct colour in the gamut. This is where BenQ’s six-segment RGBRGB colour wheel comes into play. Of course, the colour wheel plays an integral part in the projector’s colour reproduction. Therefore, BenQ has established a stringent quality control, because achieving a perfect balance between colour accuracy and brightness requires high precision. Using precise nanometer-level references to test over 20 combinations of colour wheel angles and coatings, each colour wheel is carefully fabricated with high-pure-colour coatings to meet the colour gamut requirements to reproduce true Hollywood colour. Finally, consistency of quality is vital. When the mission is to ensure every projector reproduces the same level of accurate colour, it’s stringent to ensure this standard is upheld. BenQ sticks to this promise by providing a Factory Calibration Report. Using special instruments and software, each CinematicColor projector is tested and adjusted. BenQ is the industry’s only home projector brand to adopt such high standards of colour calibration to ensure colour is continually reproduced accurately. With colour being such an important aspect to the filmmakers, the narrative of the film and to the enjoyment of the audience, BenQ wants to ensure films are being recreated in their purest form. As Danielle Feinberg (Pixar) stated: “lighting and colour are part of the backbone of emotion.” BenQ ensures their projectors will bring joy to all viewers with true, accurate colour reproduction. Great promotion, but when will AVForums be getting one in to see if the reality matches the hype. I see these 'Hollywood conversations' about how important it is to have accurate colour - and then they go and make everything orange and blue anyway. But at least we know it's the orange and blue the director intended, right? Question To buy BenQ W1210ST or not ? Question Replacement for BenQ Joybee GP1 suggestions?